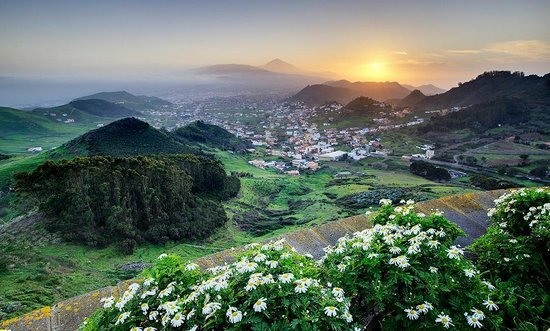 When you think of a holiday to Tenerife, what comes to mind? Family holiday …beaches …karaoke?? We all know that holidays in Tenerife can get a bit stereotypical with everyone going to the same resorts and attractions. In really popular areas, the majority of people speak English and are probably British – you might even spot someone that you know! Is that really a holiday? Seeing sun burnt British tourists and eating fish and chips? Tenerife does have so much more to offer though and there is some great advice out there about how to find the real Tenerife. Visiting La Gomera would be a good start. It’s away from all the loud, commercialized parts of Tenerife. It’s a very historic area with steep hills and valleys, so it’s not advised to bring children along unless they are into nature and the romans. If you have kids you can bring them to Garajonay National Park where they can explore. Getting to La Gomera is pretty easy. From the airport you can drive to Los Cristianos harbour where you catch a ferry to La Gomera and on the way, who knows, you might even spot a dolphin or two! Next up is the botanical gardens in Puerto de La Cruz. It’s a very calm environment, ideal for those who like to hear themselves think for a few hours. It’s the complete opposite to the rest of Tenerife – no out of tune karaoke singing or drunkards staggering in the streets to be found here! Just a relaxing garden, with towering trees that act as a roof and the beautiful sound of splashing water from the fountains. If you’ve had enough of the historical and calm part of the island, then why not get involved with the locals! There are annual festivals where people celebrate various events such as religious events and ancient traditions. The theatres reflect the Spanish culture by entwining modern day traditions with the old ones so that tourists can get lost in it all. The perfect end to your Tenerife holiday is by watching the sun set on the horizon with a loved one. Some may think it’s boring, but you will find it is a lot more therapeutic than you think. Author: Alex is an enthusiastic travel writer who specialises in Tenerife and other Spanish destinations. Thanks to Alex for today’s guest post. If you’re interested in guest posting with IShouldLogOff, email us at info [at] ishouldlogoff.com. Thanks!